Enstrom’s TH-180 helicopter program is moving forward towards certification. The TH-180 is Enstrom’s latest foray in the ab-initio flight training, personal flying, and light commercial market. Designed to be simple and low cost, the TH-180 will boast a number of traditional and beloved Enstrom features such as a high inertia fully articulated rotor head, unblocked tail rotor, and rugged landing gear. Enstrom helicopters are renowned for their safety, and it’s expected the TH-180 will build upon that and be a class leader in safety. 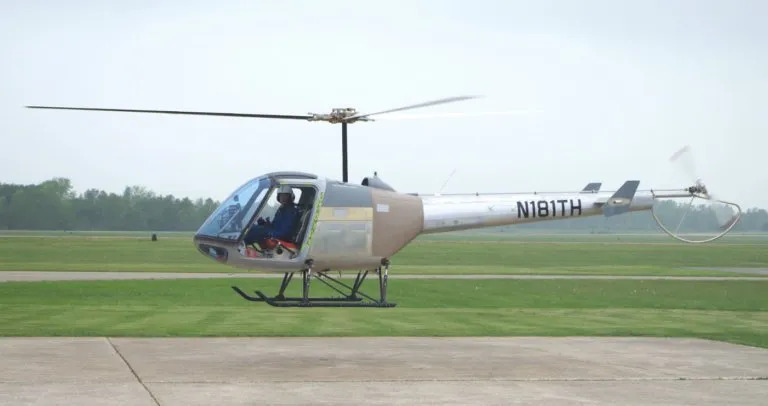 Enstrom is currently flying its second (and first fully conforming) prototype TH-180. In addition, a third prototype is undergoing static tests and will be added to the flight test program shortly. Enstrom’s flight testing to date has included handling and controllability surveys, load surveys, and continued systems development. Upcoming tests include fully defining the performance envelope and the Federal Aviation Administration (FAA) mandated 100-hour ground run. Enstrom is currently anticipating FAA certification by the end of 2017, with European Aviation Safety Agency and Transport Canada validation to follow shortly after. The helicopter will be powered by the new 210 horsepower Lycoming HIO-390-A1A engine, and will be initially certified with Garmin avionics.